Working in an office that requires sitting for extended periods can have negative effects on your posture and lead to body aches. Technological advancement has led to creation of unique type of furniture referred to as a ball chair. 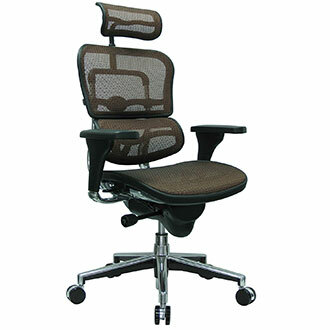 Such products are designed to provide high levels of comfort and ergonomics. They are also therapeutic and can provide relief from spine and muscular disorders. 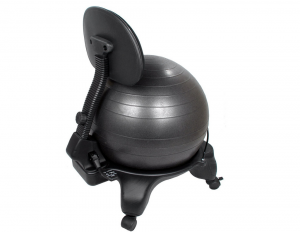 Sivan Adjustable Back Balance Ball Chair with Pump is one of the best of its kind currently in the market. It is equipped with several features and specifications that make it ideal for both office and home use. The chair can help you sit straighter by providing support to the lower middle back making scribing, typing and writing very easy. It features rolling base with four rolling wheels two of which are lockable. This review will focus on the pros and cons of this hot item. The current rating on this product on amazon is 4.1 out of possible 5.0 based on reviews from 87 customers. On amazon best sellers ranking under Sports and Outdoors, this product manages position #7, 890. In the balance trainers category of sports and fitness, the Sivan is ranked position #27. So far, majority of the customer reviews received by this product are positive with most customers attesting to its efficacy, reliability, comfort and ease of set up and use. Based on these reviews and ratings, this product is worth considering for anyone looking for a good chair for home and office use. The design of this chair is optimized for comfort and ergonomics. The unit is designed with full lower back support with adjustments. Its design closely resembles the conventional seats making it ideal to shift one type of seating to another. This is why it is suited for both home and office use. Sitting height is adjustable via inflation in order to provide correct height of vision especially when working on computers. If you wish to, you can remove the ball from the base of the chair and use it to workout including yoga exercises. It resembles and works just like the ones found in the local gyms. This makes the it extremely useful for stretching, rehabilitation, preventing spine disorders, reducing stiffness, correcting posture, and optimizing circulation. The package comes complete with a pump to inflate the ball. Inasmuch as the Sivan Adjustable Back Balance Ball Chair comes with a pump as an accessory, the pump is not that effective. It takes too long to inflate the ball, time that many people claim not to have. This problem can be averted by purchasing a separate, well performing pump. Besides, this product’s brand comes in only one color (black) which may not go down well with some people. 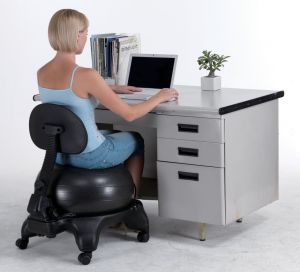 The Sivan Adjustable Back Balance Ball Chair with pump is wonderful furniture and exercise equipment. It is equipped with great features and specifications that make it ideal for comfort, ergonomics and physical therapy purposes. It can help with exercises that tone muscles, promote fat loss and lean muscle growth and promote blood circulation. Of all the ball-chairs in the market, this brand is one of the most cost-effective yet greatly performing.